Save 10% on packages of 3 or more shows. Create your package today. A rare opportunity to the experience all six of Bach’s Brandenburg Concerti in Northern Michigan. These revered works feature masterful, beautiful solos and a wide variety of instruments. The Brandenburg Festival performance is an ensemble of 24 musicians hailing from around the U.S. Under the artistic direction of David Holland and Crispin Campbell, this exceptional ensemble comes together to bring these six masterworks into one outstanding musical event. David Holland served as Viola Instructor and Conductor of the Interlochen Arts Academy String Orchestra until he retired as a distinguished faculty member of Interlochen Center for the Arts. He currently teaches in the Central Michigan University Viola Studio. David recently retired as Principal Viola of the Traverse Symphony Orchestra and as Principal Viola of the Midland Symphony Orchestra. Crispin Campbell is Instructor of Cello and Chamber Music at Interlochen Arts Academy and also cello faculty at the Interlochen Cello Institute. He was also founder and Artistic Director of the Manitou Musical Festival in Leelanau County from 1991 to 2004. Crispin’s musical interests are wide, ranging from the classical cello repertoire to varying styles of improvisation, including jazz, blues, folk and Latin American music. 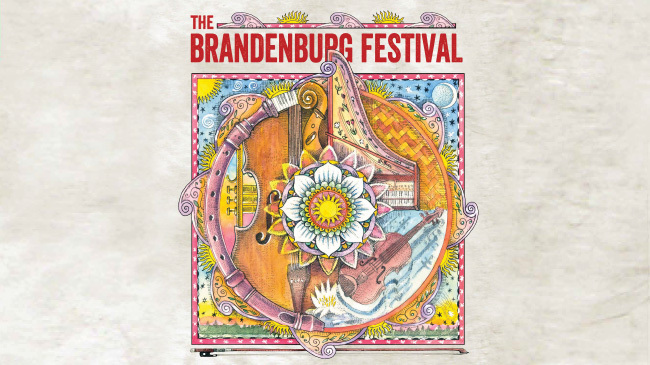 The Brandenburg Festival is made possible in part by Auto-Owners Insurance, City Opera House, Interlochen Center for the Arts, Interlochen Public Radio, Michigan Council for Arts and Cultural Affairs, National Endowment for the Arts, The Ramsdell Regional Center for the Arts, and is supported by the Michigan Council for Arts and Cultural Affairs Mini-Grant Program administered by the Rotary Charities/Northsky Nonprofit Network. Join Classical IPR's Amanda Sewell for a pre-concert talk at 2pm, June 10 about the history of the Brandenburg Concertos, how they got their name, and what makes them so special, both individually and as a group. Pre-concert talk will be approximately 30 minutes. Can’t make the Sunday, June 10 performance in Traverse City at City Opera House? Tickets are available for Saturday, June 9 at 6pm at Ramsdell Regional Center for the Arts in Manistee.